There can be situations in which you might have made some mistakes while paying the invoices to your clients and associates like entering a wrong amount on the check or making an error in writing the name on the check. 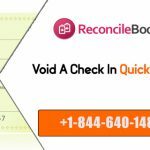 In instances like that you have to Void a check in QuickBooks prior to finalizing the transaction. When you void the check though it remains in the application with the check number, payee and the datein the registry while the check amount becomes zero. 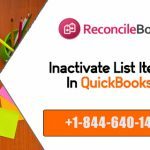 This article will give you the steps on how to void a check in QuickBooks. Next, go to either Write Check or Check Register and click on it. Next, find the check that you want to void. Pull up that check and open it. Next, go to the Edit button on the Main menu and click on it. From the drop-down menu click on Void Check. Note: There is a difference between Voiding a check and Deleting a check. Voiding zeros the balance while deleting the check gets rid of the check but it is still in the system but you do not see it. 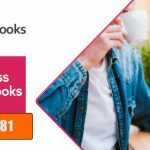 Even go to QuickBooks Live Chat Support for more details & information . After clicking on Void Check you will be prompted with the message that will ask if you want to void the check for the current period. Click on Yes as this will update the journal of your company with the date on which you are voiding the check. In case you want to void the check on the date, it was issued then click on No. As this will void the check and make the balance zero but will not update the date on the journal of the company. Next, you will notice the balance on the check is zero. Also in the MEMO field, you will see it is written VOID. Click on Record so that you can finalize the voiding of the check. Next, click on Save & Close. Note: Remember that when you reconcile QuickBooks remember to check mark on Zero of the check that you voided. Click on the Banking section and then Write Checks. Go to the Expenses section and click on the account from which the check was written. In the Check Number field enter the paper check number, next in the Date section the date. In the $ section enter 0.00 and finally in the Pay to Order of section enter the payee name. Click on Edit button and then from the drop-down menu click on Void Check. Click on Yes in the prompted message if you want to void the check on the current date. Click on No if you want the check to be voided on the date it was originally issued. Yes, will add the date on which the check was voided in the company’s journal and No will just void the check without updating the journal. Finally, click Record to finalize the voiding and then click on Save & Close. 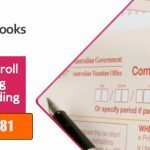 Click on either Employees or Payroll Center. Go to Related Payroll Activities and from the drop-down arrow icon click on Void Paychecks or directly to Void Paychecks (if you are not using a payroll service). To locate the check you have to enter a pay period hence in the Show Paychecks From and Through field enter a date range. Click on the Tab key to display the checks of that period. Select and click on the check you want to Void and then click on the Void button. Prompts will be given on the screen follow those to confirm the process. Finally, click on Done at the end of the screen.